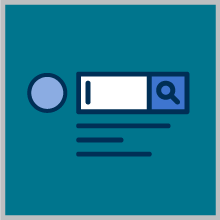 Changes the placeholder text in the search box within PFI and/or EBSCO Discovery Service. Customize the message inside the search box to guide users on what to enter in this space. For example, Enter Title, Journal Name — anything you want.